JOB VACANCY: Donegal-based company Magee 1866 are currently recruiting for a Web Content Manager to join their team in Donegal Town, with opportunities to work remotely. Magee was established in 1866 and specialises in luxury design, weaving and tailoring. Our collections for men, women and home encompass our unique heritage with a contemporary twist. We wish to recruit a Web Content Manager with a minimum 3 years’ experience in a similar role who will be responsible for content creation and management across several platforms. Experience using HTML/CSS are essential requirements of this role. The successful applicant will be expected to quickly get to grips with the diverse needs of this unique and special business. 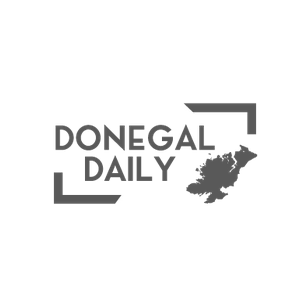 *This role can be carried out remotely but the candidate must be able to travel to Donegal Town at least once a week. Responsible for creating an excellent user experience aiming to increase sales. Develop and upload creative content whilst ensuring that the on-line brand message is consistent with other platforms. Create and execute email campaigns including landing pages to increase traffic and conversion and optimize email campaign performance through A/B testing and segmentation. Troubleshoot code and technical issues affecting content display. Ensure web content is search engine optimized and aligned with the company marketing strategy. Manage A/B testing of the marketing placements across the websites, including the test strategy, segmentation, results, analysis and recommendation. Strong knowledge of HTML and CSS with experience in Responsive design. Meticulous attention to detail both with the written word and imagery plus the ability to write creative product descriptions – therefore an interest in fashion/experience with a clothing brand would be a definite advantage. Proficiency with SEM tools and platforms (e.g. Google Search Console, Google Analytics, Bing Webmaster, Google Adwords, etc.). Graphics skills, ie Photoshop and Illustrator. Energy, enthusiasm, imagination and innovation plus a can-do proactive approach combined with high energy levels. If you are interested in the above position, please submit your cv to Ann Harley – aharley@magee1866.com.